As a subtropical getaway, this sprawling archipelago includes some of the glitziest as well as the sleepiest offerings going. From Nassau, Freeport, and Paradise Island to the castaway Out Islands, you're sure to find your getaway here. Started by David Paul Appell Aug 28, 2018. Started by David Paul Appell May 7, 2018. Started by Tripatini Dec 16, 2017. You need to be a member of Bahamas to add comments! Awesome place to refresh!! best holiday place. Spending our last day on our Bahamian cruise bar hopping in Nassau. It's the Nassau pub crawltoday at The World on Wheels. A less than stellar cruise ends with a less than stellar port call in Nassau. Find out the details at The World on Wheels. After a very less than stellar debarkation day on our cruise, we hit our first post, Royal Caribbean's private island. Will this day improve the trip? Find out at The World on Wheels. If it was funnier, it'd be a comedy of errors. More on our foibles of cruising to the Bahamas today at The World on Wheels. "You should take Tim on a cruise," is the refrain a lot of you have told us. 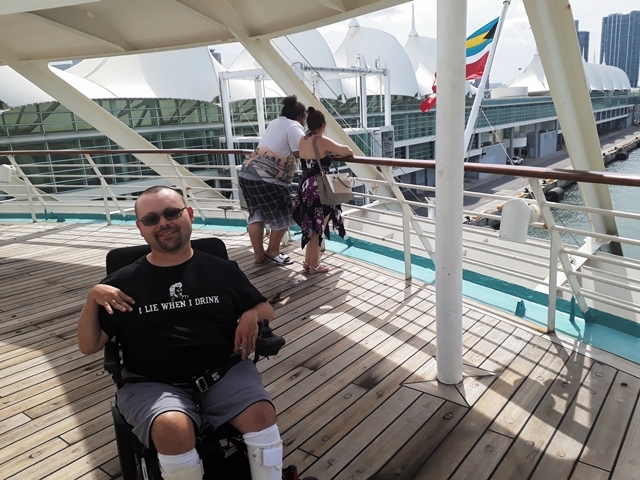 Today, at The World on Wheels, we cast off with Tim on his first cruise. How will it go? How far will a couple of years of very casually accumulating reward points get you? At The World on Wheels, about two weeks worth of travel. Come along as we start a 16 day, points funded trip as these (not really) points warriors take a swing though the southeast, with a side trip to the Bahamas. A Tripatini member would like advice on whether to rent a moped or a bike in Nassau. If you have any guidance to offer, please respond at this link to our Ask A Travel Pro forum. Thanks!! Needed ASAP -- For a possible major metro front page feature, journalist seeks hotels in warm climes that have seen a recent uptick in guests from New England escaping the cold. Will need to interview guests and file story by Feb. 4th. Contact patriciaborns@comcast.net. The Bahamas get a Tripatini blog shout-out int he recent Best Caribbean Shopping Off the Beaten Path, Part 1!